So, if you are wondering about how to make this Holiday Season special, how about taking a shot at improving the World in which we live? 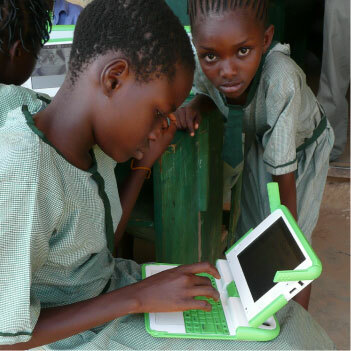 The One Laptop per Child project will provide you with a durable laptop comuter for the recipient of your choice, and will contribute an identical laptop to a deserving recipient, for less than $400.00. Of course, you can also contribute the laptop that you purchase to another deserving recipient, whom you may not know. Please act promptly, if you are interested. This opportunity will end on November 26, 2007. In the next several weeks, the main branch of the Salt Lake City Library will be receving a collection of CAI publications, courtesy of Hobbs & Olson, L.C. The books were purchased by the firm through the CAI Research Foundation’s Adopt-a-Library program, through which participating libraries can receive an extensive collection of community association materials through a contribution from the sponsor. Hobbs & Olson is also seeking to obtain a collection of books for the Summit County libary system. Keep watching this site for updates on that effort.